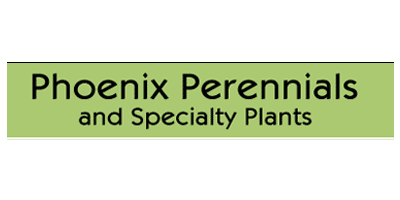 Phoenix Perennials is a dynamic, award-winning, cutting edge retail and mail order nursery in Richmond, BC, part of Metro Vancouver. We grow the majority of our own plants, host regular workshops and special events and are active on diverse social media. The Monthly E-Newsletter: Other than our plants it's the most popular thing we do. The monthly e-newsletter contains articles about plants, news of sales and special events and lots of pretty pictures. Email Alerts: These occasional emails are sent out when we have something exciting to tell you on specific topics such as Edibles, Hardy Subtropicals, Hot Plants, Shade Plants, Maples and Woody Plants, Fragrant Plants, Mail Order, Sales and much more. The Facebook Page: If you need to stay totally up to date with happenings at the nursery including pictures of hot new plants that have just become available then you'll want to sign up for our Facebook Fan Page. And don't miss our content on Twitter, YouTube, Pinterest orInstagram!